keep extra distance from other traffic. The following weather conditions can have a significant impact on the safety of your ride. Riding in unfavourable weather conditions is tiring, so watch for the signs of fatigue, and rest if necessary. Be aware that motorists in front of you may have difficulty seeing you before they overtake or change lanes. Avoid the temptation to follow the vehicle in front close enough to keep contact with its rear lights. Instead, make sure to slow down and increase your crash avoidance space to allow yourself more time to respond. Use low beam during the day to increase your chances of being seen. Strong gusts which may affect the handling of your motorcycle can occur on entering or emerging from under bridges, crossing an open valley and riding into open country. These can also cause other vehicles to veer suddenly, especially high sided vehicles such as trucks or buses. Keep your speed down and create space between you and other vehicles. Wearing the right gear can help you to stay safe, keep you comfortable and protect you from the elements. 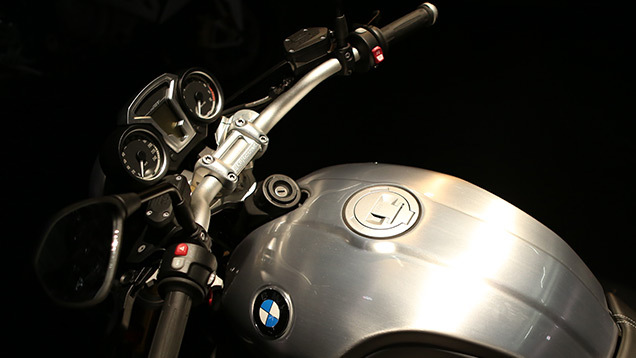 Check the Motorcycle Clothing Assessment Program (MotoCAP) website before you buy. 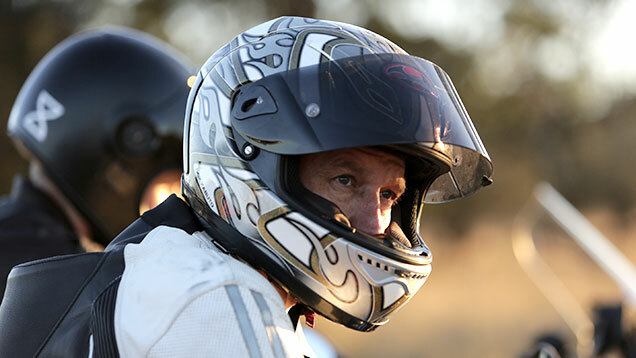 MotoCAP rates motorcycle protective gear for safety and comfort and aims to help riders make more informed decisions about their protective clothing. MotoCAP has ratings for jackets, pants and gloves; more ratings for protective gear will be added over the coming months. 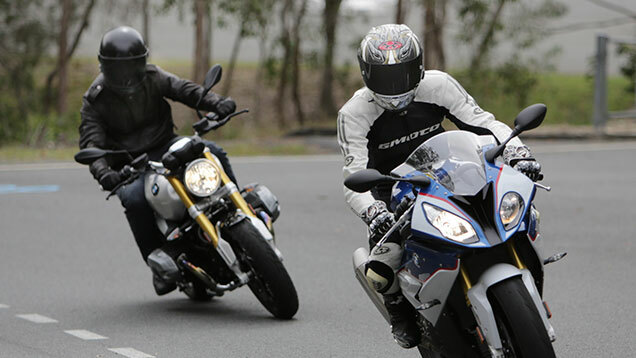 The way you feel when you get on your motorcycle will show up in the way you ride. Try to be mindful of your mood and behaviour on the road and try and stay impartial to other drivers exhibiting aggressive or bad behaviour. check your mirrors and instruments. Fit riders are better able to stay alert on endurance rides and during physically demanding conditions. 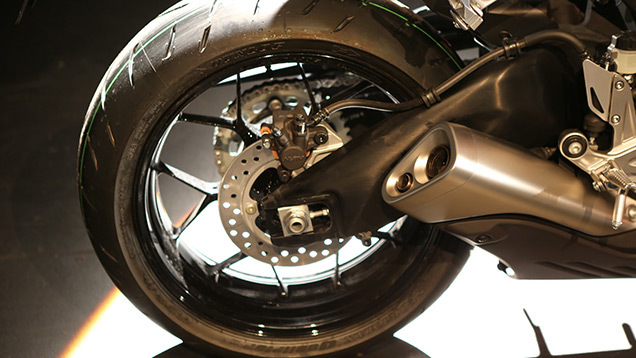 If you have not ridden for a while, take time to familiarise yourself with your motorcycle and rebuild your skills. 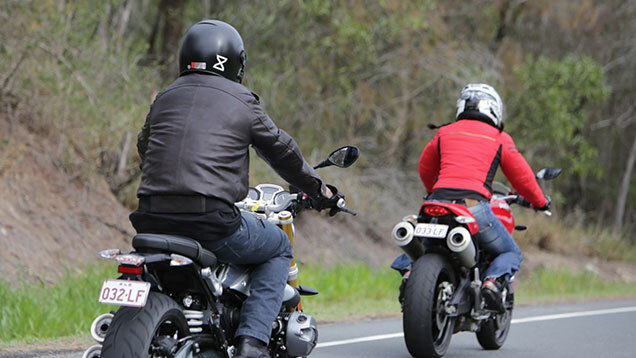 Make sure you are up-to-date with all current road rules – some may have changed since you last rode. 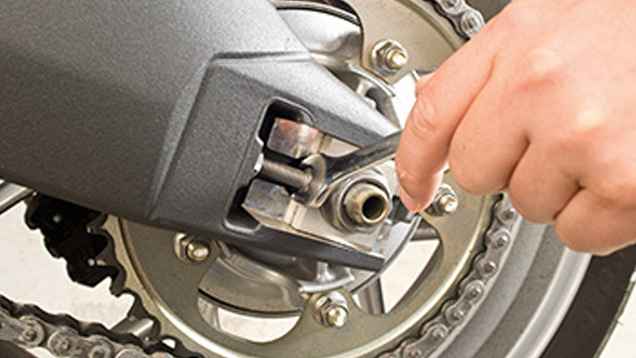 Perform these checks daily to make sure your motorcycle is in a good and safe condition to ride. 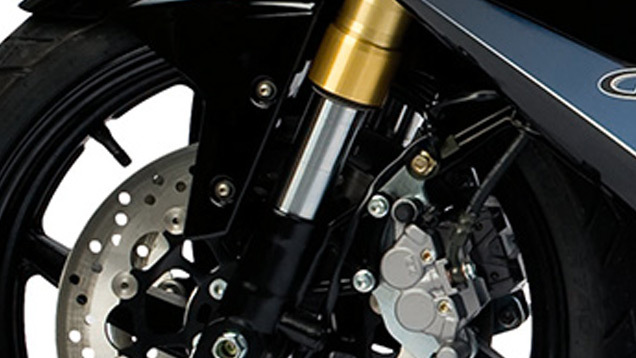 Put the motorcycle on a stand and make sure you can rotate the wheels. Also check the wear indicators and make sure the tyres are not damaged. 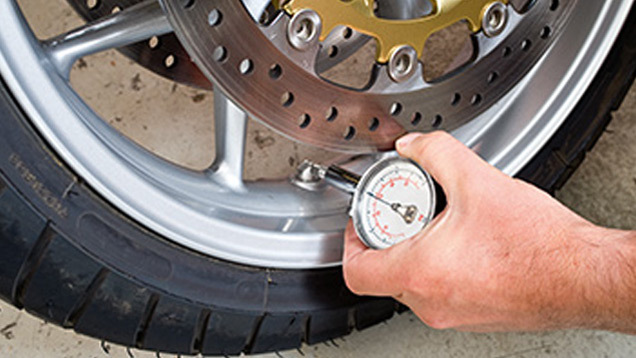 check tyre pressure is within the manufacturers’ recommendations, at least every two weeks and when the tyres are cold. Rotate the wheels to detect any tight spots. Oil the chain when it is hot. 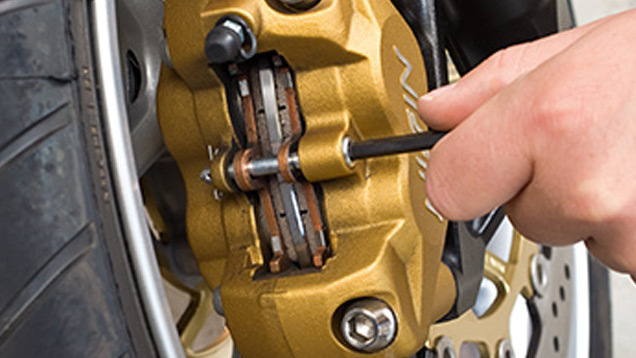 Look into the calliper to check the pads have enough material on them. 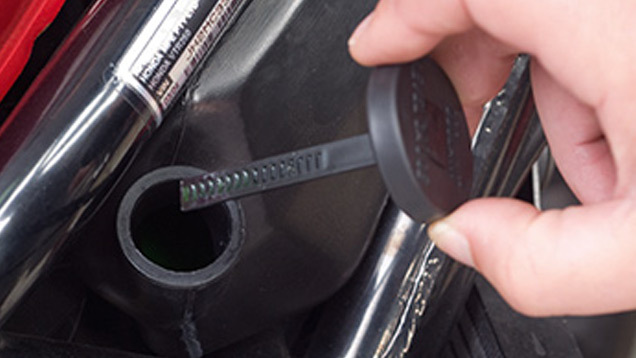 The oil should be between the high and low marks on the inspector window or dipstick. 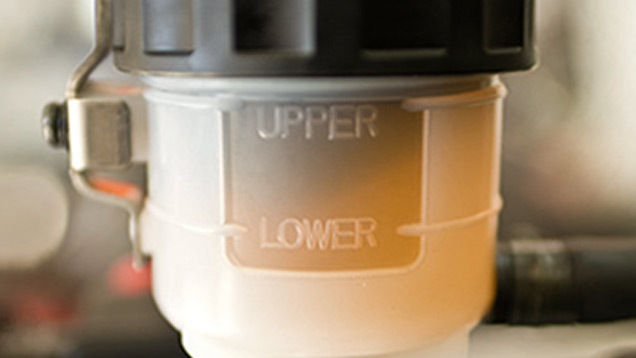 Check the level on both the front and rear master cylinder reservoirs. 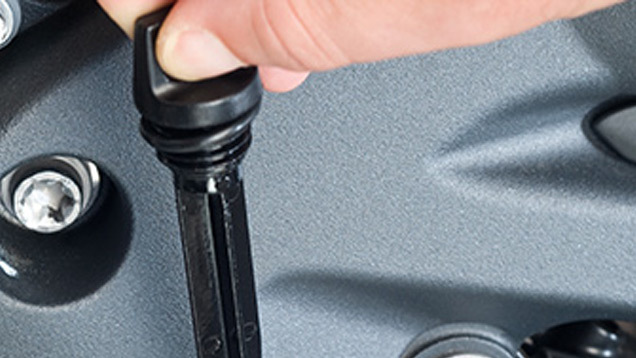 If your motorcycle is liquid cooled, check the level in the coolant reservoir tank. There should not be any evidence of fork oil leakage. 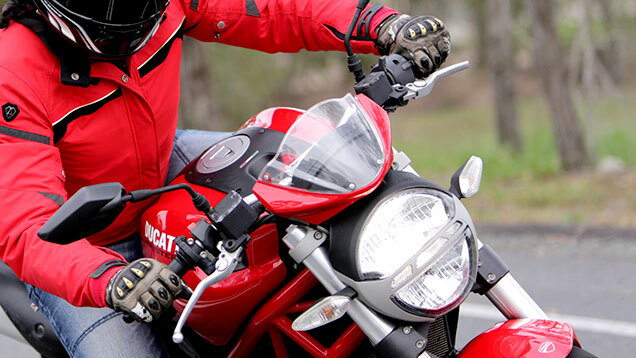 Check all the electrics such as lights, indicators and brakes.